Over the past few weeks, Marvel has been slowly releasing images teasing a new Runaway comic series and just last week, they announced the original teen group would be making its return the comics. Beginning this September, a new series written by Rainbow Rowell with art by Kris Anka will hit the shelves in comic stores across the globe. In a recent interview with Vox (via CBR), Rowell teased that she wants to bring a member of the original back from the dead. That character, most certainly a fan-favorite, would be Gertrude Yorkes. Gert, who dabbles in time travel, was killed in Runways (vol. 2) #18 (2005). Marvel begun teasing the series by releasing an image featuring just one character at time. Before too long, the House of Ideas had teased Nico, Karolina, Molly, and Chase would be returning before the final image depicted Gert’s likeness. With the cover of the first issue of Rowell’s Runaways run having recently been released, it does look like we’ll be seeing Gert rise from the dead. We’ll just have to wait until September for full confirmation. In the meantime, the Runaways project has been ordered to series by Hulu. The pilot for Runaways wrapped back in March and the series is slated for a late 2017/early 2018 debut on the popular streaming service. 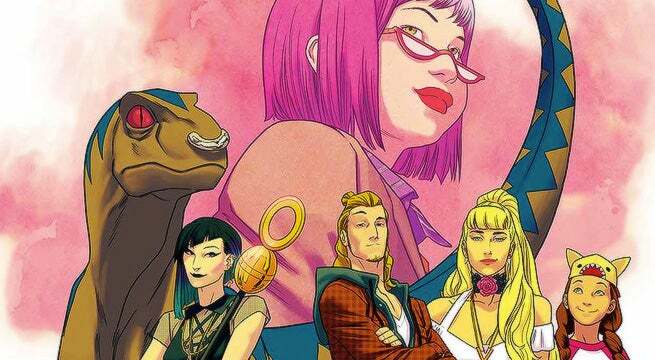 Runaways follows a group of six teenagers in the Marvel universe - Nico Minoru, Karolina Dean, Molly Hayes, Chase Stein, Alex Wilder, and Gertrude Yorkes - who discover that their parents are secretly members of a supervillain cabal called The Pride. After deciding they're no longer safe in their own homes, the kids go on the run. In the midst of hiding from their elders, the teens learn about themselves and become a family of their own. 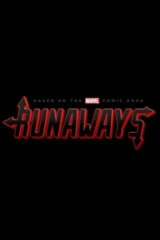 “Marvel’s Runaways” is executive produced by series showrunners/writers Josh Schwartz and Stephanie Savage ("THE O.C.,” “GOSSIP GIRL") along with Marvel’s Head of Television, Jeph Loeb (“Marvel’s Luke Cage,” “Marvel’s Iron Fist”) and Jim Chory (“Marvel’s Daredevil,” “Marvel’s Jessica Jones.”) Fake Empire's Lis Rowinski will produce as well. Marvel's Runaways is a co-production with ABC Signature Studios.